Rogue Lumens - Expo booth technology for the next generation. 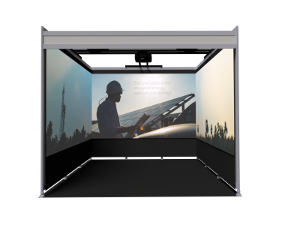 Booth technology for the next generation. 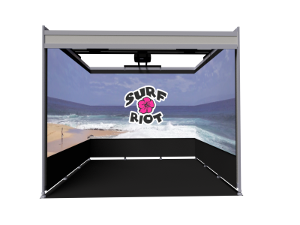 We turn the walls of your expo booth into a 9 metre video screen. Have an event? Talk to us! 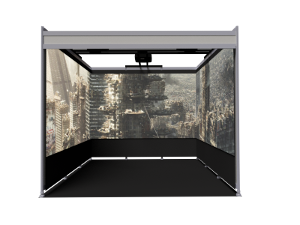 Imagine the walls of your 3m x 3m expo booth transformed into a 9 metre video screen. Imagine a purpose built presentation, from your video and images, designed to communicate your message on a new level. That is what Rogue Lumens delivers. Stand out. Attract attention. Be remembered. Draw attendees from across the room. 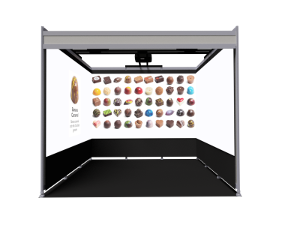 Dynamically display your products and articulate complex messages that you simply can’t in print. It just works. Everything provided. Set up when you arrive. No more travelling with marketing materials. Comparable pricing to printed walls. 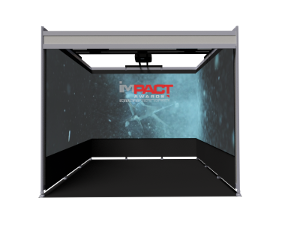 Delivering real value for your booth investment. Some inspiration for your next event. We felt expos were getting boring - forgettable - and set out to breathe new life into them, starting in our home town, Adelaide, South Australia. Inspired to help exhibitors get value and driven to prevent waste from printed materials, we decided that there had to be a better way. That was when Rogue Lumens was born. After seed funding, support from TechInSA and Innovyz, and much work, we created a prototype and tested it in the real world. Being unique, our prototype got a lot of attention! Shortly afterwards, we signed a contract with Adelaide Expo Hire. Andy Roberts is co-founder and business lead for Rogue Lumens. A former CEO, business development manager and dual qualified civil engineer and software developer, Andy was also a regular (but until now dissatisfied) exhibitor and exhibition attendee. Greg Mathews is co-founder and UX & design lead for Rogue Lumens. Greg is a multimedia designer and software developer who has designed interfaces for industrial equipment, educational games and web applications. He believes products should always aim to delight. If you have any other questions. Contact us! we'd be happy to help. At the moment we are only available in Adelaide. We will be available interstate in the next few months. We often appear as an option in the brochure sent out by the event organiser. Starting with events with our first partner Adelaide Expo Hire. We will send you a login, where you will be able to create your presentation online with your videos and images. When you arrive at your conference and it will be already setup and running. No problem. We can put you in contact with quality videographers, designers and multimedia producers who can create media for you to use. Just be aware - it’s best to plan this a few months in advance of your event. We can also refer you to stock footage at reasonable prices. Easy. Tell them to contact us and we'll give them all they need to create media specialised for our format. We designed the business to offer value from day one. We’ve got the price down to about the same as printing all panels on a booth. Who did the examples on your site? The Dematec Automation and The Impact Awards examples were created by creative agency Mihell & Lycos. The rest were created in-house. How sustainable is your service? Since our equipment is all re-usable, we are cutting down on the waste of large discarded printed panels. Our projectors do use electricity, but our laser projectors are more efficient, and have a long lifetime. Contact us for details. I have an outdoor event. Can I use your service? No. Not at this stage. We want to ensure a quality experience. Outdoors there are too many factors out of our control (sunlight, rain and wind). We have designed our system at the event to be very simple and robust. For example, all of the connections are hardwired. But, if something did happen, we have a technician in the venue and our system is made of easily swappable components, of which we maintain spares of all of parts. So you would be off and running again quickly. We have a desk and chairs and a PC - can we still use them? Yes. Our system takes up no space. The majority of the booth is usable. We have had clients use desks, chairs and a PC before. The technology can include it, but whether you are allowed to can can vary - different events have different rules. Check with your exhibitor pack or exhibition company. We don't have any video. Can we still use you? We are developing many exciting templates for this purpose! How much media do we need? We recommend that you have enough to get your message across in 30-45 seconds. The nature of traffic at most expos best suits TV/web advertising film length. More content can be used but beyond a few minutes, passing traffic is not well catered for. We are an IT company and we want to use your system to demonstrate our software with a live feed from our PC. Is that possible? There is a small additional cost, but this should not be a problem. 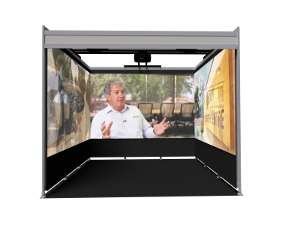 Ready to use us at your next expo? That's great! Look for Rogue Lumens in the exhibition manual sent out by the event organiser after you register. We are always available through our partner Adelaide Expo Hire’s events but if you don’t see us contact us direct. Send us an email or give us a call if you have questions and we will get back to you as soon as possible!